Holy grail products you'll swear by. 1. Milani Amore Matte Lip Creme, a matte lip cream that will outlast anything. Get it from Target or Walgreens for $7.99. Available in 10 colors. 2. Lorac Unzipped Eyeshadow Palette, full of eyeshadows in perfect shades you'll use all the time. Get it from Amazon for $42. 3. Physician's Formula 2 in 1 Lash Boosting Eyeliner, a Kat Von D dupe that's also good for your lashes. Get it from Amazon for $8.24. 4. Olay ProX Cleansing System, a facial brush that's just as good (if not better) than a Clarisonic. 5. Glossier Generation G Lip Stain, which gives the color payoff of a stain with the hydration and comfort of a lip balm. Get it from Glossier for $18. Available in six colors. 6. Freeman Charcoal & Black Sugar Polishing Mask, a purifying mask that exfoliates skin and detoxifies pores. Get a pack of two from Amazon for $10.97. 7. Colourpop Ultra Matte Lip, a super-matte liquid lipstick that won't dry out your pout. "They stay on all day and are not drying like other liquid lipstick. And only $6 each!" —Morgan S.
Get them from Colourpop for $6 each. Available in 56 colors. 8. Maybelline Better Skin Powder Foundation, a setting powder with salicylic acid that'll actually improve acne-prone skin. Get it from Amazon or Target for $8.99. Available in eight shades. 9. Garnier Skin Active Micellar Cleansing Water, a makeup remover and cleanser you don't even have to rinse off. 10. Smashbox Always On Matte Liquid Lipstick, a velvety lip color that doesn't transfer. Get it from Sephora for $24. Available in 20 colors. 11. Thayers Witch Hazel, a toner that helps acne-prone skin and smells fantastic. 12. Too Faced Born This Way Foundation, a full-coverage foundation that'll actually last all day long. Get it from Sephora for $39. 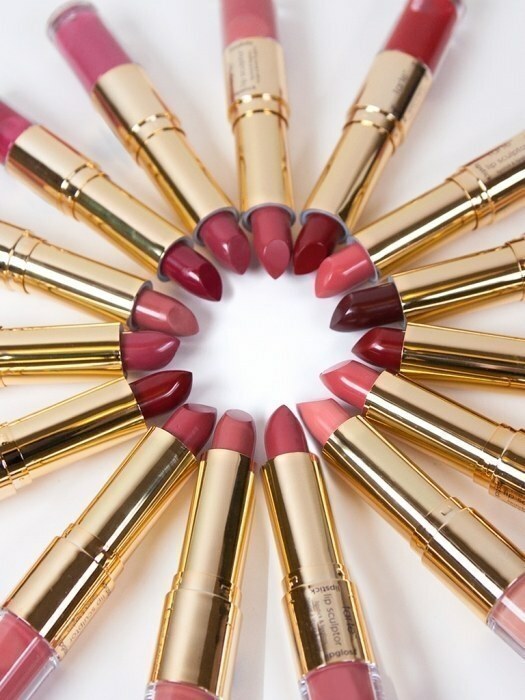 Available in 18 shades. 13. NYX Felt Tip Liner, a colorful eyeliner that's easy to apply — and will make your eyes POP. Get them from Amazon for $10 (royal blue here and teal green here), or check out the full selection at NYX. 14. Mizon All in One Snail Repair Cream, a super hydrating moisturizer that'll make anyone a K-Beauty addict. You can also buy it from Amazon for $11.82 — it has 4/5 stars, but that's up to you guys. 15. Jeffree Star Velour Liquid Lipstick, a lightweight matte lipstick that won't smear on your chin. Get them from Jeffree Star for $18 each. Available in 38 colors. 16. NYX Ritualistic Illluminator, an inexpensive highlighter that'll become a key part of your makeup routine. Get it from Amazon or Target for $9. 17. Glam Glow Mud Mask, a clearing treatment that'll zap all the gunk out of your pores. Get it from Amazon for $58. 18. Urban Decay Color Corrector, a game-changer for anyone with dark under eye circles. Get it from Urban Decay or Sephora for $28. Available in five colors. 19. Tarte Maracuja Oil, a lightweight moisturizer you can use all year long. 20. Glossier Haloscope, a stunning highlighter made with ingredients that are good for your skin. Get it from Glossier for $22. Available in three colors. 21. TonyMoly Inked Cushion Liner, an awesome eyeliner that comes in adorable quill and ink packaging. Get the set (it comes with mascara) from Amazon for $14.99. 22. Kat Von D Tattoo Liner, the cult favorite eyeliner that'll make anyone a cat eye expert. Get it from Kat Von D or Sephora for $20. Available in two colors. Chloe is also wearing Kat Von D Everlasting Liquid Lipstick ("very matte and stays forever"). Get it from Sephora for $20. Available in 29 colors. 23. Colourpop Sculpting Stix, bronzing and highlighting sticks that makes contouring crazy easy. Get them from Colourpop for $5. Available in 12 shades. 24. Benefit They're Real Mascara, a seriously powerful mascara that volumizes and lengthens without clumping. Get it from Sephora for $24. Available in three colors. You can also get a travel size for $12. 25. 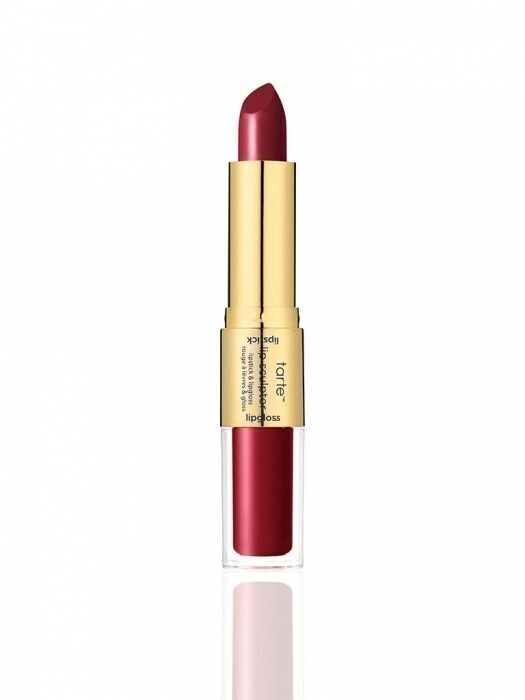 Tarte The Lip Sculptor Lipstick & Gloss, a double-sided lip color that feels amazing on. "It’s one side lipstick, one side lip gloss and the color is perfect. The lipstick lasts for hours with minimal need for reapplication, and it’s smooth and creamy and feels good on. Well worth the $24 price tag, it’s the best lip product I own." —Amber M.
Get it from Tarte for $24. 26. NYX Dark Circle Concealer, an under-eye concealer that color-corrects without caking or flaking. 27. Lush Grease Lightning, a tea tree and aloe gel that soothes and calms skin. Get it from Lush for $14.95. 28. Colourpop Brow Pencil, a pencil and spoolie you can apply in no time flat. Get them from Colourpop for $5 each. 29. Milky Piggy Carbonated Clay Mask, a foaming mask that's fun to use ~and~ detoxifies your skin.